Tonight we have the beat writers from the NBA teams for our Mock NBA draft. Join us to see what the local writers think their teams will do. Our good friend STOman will be making the Cleveland pick. 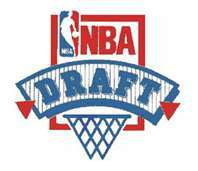 Tomorrow night we cover the 2012 NBA Draft live. We talk football with Eric Galko, Dir. Of Scouting for Optimum Scouting. Then NBA Draft coverage will begin at 6:30 with comments from Dave Kay basketball guru for waterfootball and the SportsBank. STOman will join us as well.